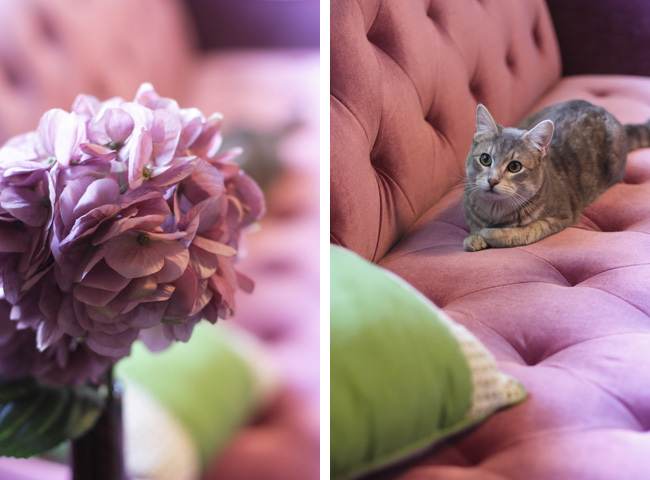 My beautiful couch arrived on Valentine's Day which couldn't be more fitting because I am in love. Now if I could only redo my entire living room! I've been so worried about Atticus scratching it, that I have even considered covering it in plastic a la "My Big Fat Green Wedding." Luckily he hasn't left any markings other than cat hair. 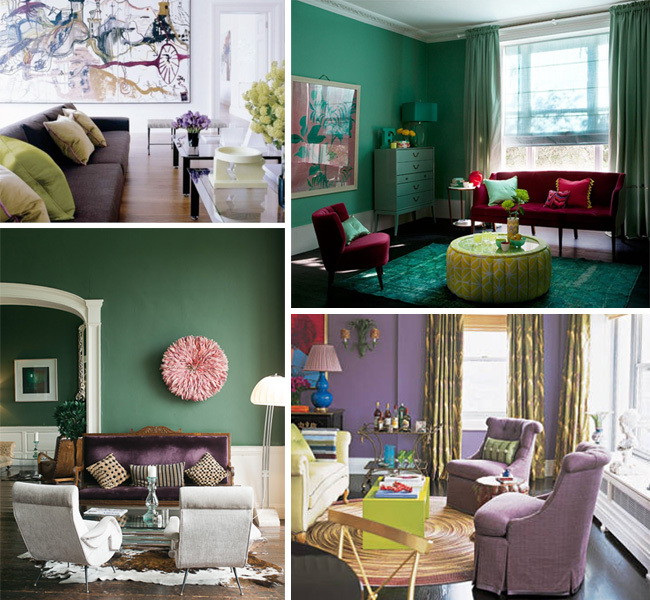 Purple and green have been my favorite colors for a long time, especially when paired together. I would love to paint my walls green, or at least get some emerald green curtains and new pillows. oooh, it's so pretty! beautiful choice! ps: you should hit Matt Land up about being in that lookbook! I think he'd love to shoot more bloggers in the area for it. Let me know if you want his email! yay for finding another bellingham blogger! 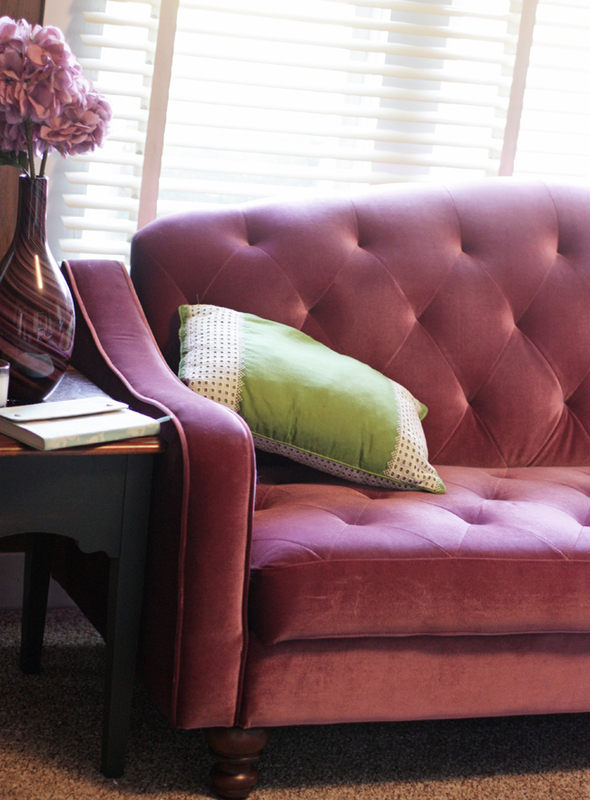 gorg couch, girl! 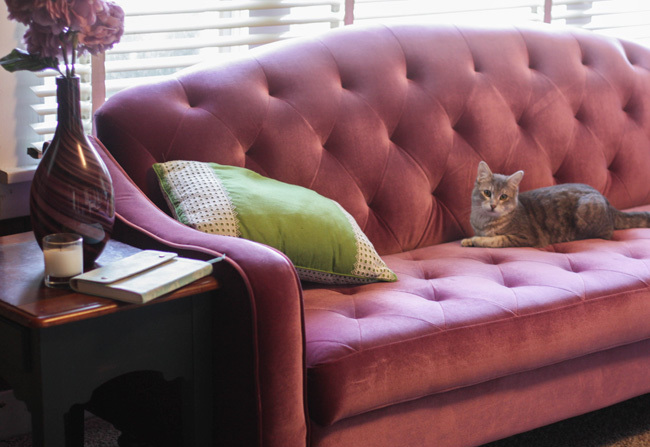 you rock that purple couch! I love it!